Gerald Reitlinger was one of the great benefactors to the Ashmolean Museum during the 20th century. His extensive holdings of Islamic, Chinese, Japanese, and European ceramics (and to a much lesser extent paintings) became part of the Museum's collections in 1978. 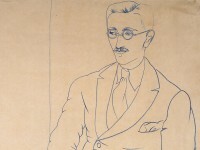 Portrait of Gerald Reitlinger by (John) Christopher Wood, 1926 (Museum number: WA1978.51). 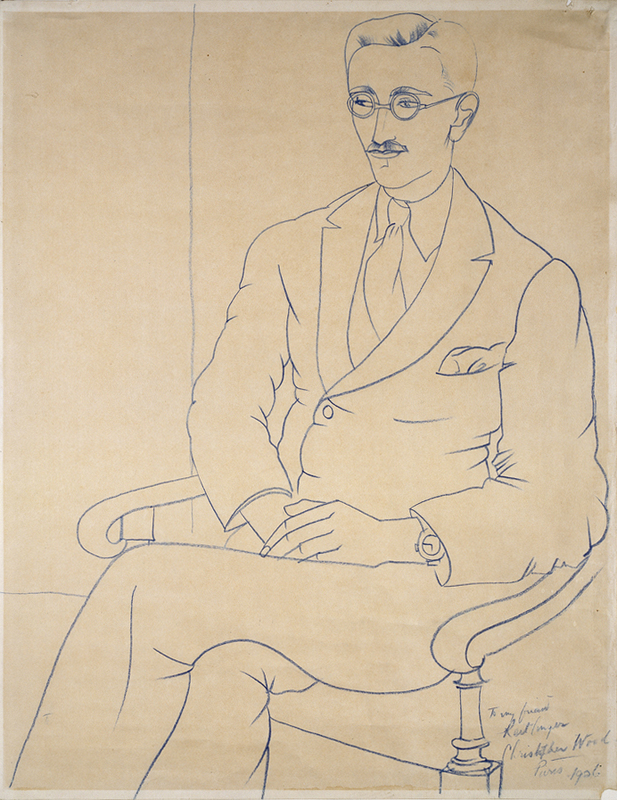 Born in London in 1900, Reitlinger was a writer and art collector. His connection to Oxford began in 1920 when he came to study at Christ Church College as undergraduate. He then continued his education in art at the Slade School and Westminster Art School in the 1920s and early 1930s. His knowledge of Asia was first developed through a series of travels in the 1930s. He took part in two archaeological excavations in Iraq sponsored by the University of Oxford – the first, co-sponsored by the Field Museum of Chicago, in 1930-31 at Kish; the second, which he co-directed with David Talbot Rice, in 1932 at Hira. From these, he brought back a large number of ceramics sherds, which he stored in his house, in the room he devoted to his Islamic collection and which he called ‘the Museum'. Further travels took him to Iran, Turkey, and China. After the Second World War, Reitlinger began to write extensively on both historical and art-historical subjects. His seminal work on the art market from the 18th to the 20th century – three volumes collectively known as The Economics of Taste – was published in the 1960s. While he continued to acquire Islamic pieces (especially from Iraq, Syria, and Iran), his interest and collecting began to embrace Japanese and Chinese ceramics as well. He particularly admired and collected Kakiemon-style enamelled porcelain from Japan, and 17th century Chinese ‘transitional' porcelain, though he acquired a much broader range of material, spanning several centuries. Having developed a keen interest in the connection between Europe and Asia, he also acquired European ceramics which reflected an Asian connection. Reitlinger's collection was housed in his private residence in Beckley, Sussex, where it was displayed throughout the building. He took care of the conservation and the display of his pieces personally, and some of his objects still preserve traces of the gold paint that he used in his reparation works. He compiled and maintained a card catalogue of his objects, in which he kept a record of an object's provenance and cost, as well as attribution and description information. Negotiations of his gift to the Ashmolean Museum began to take place in 1972, when Reitlinger approached the Vice Chancellor of the University of the time, Lord Bullock. He expressed his wishes to donate his collection to the University, with the clause that he would retain it in his house until his death. Reitlinger's gift to the Ashmolean included the house deeds as well – its sale was intended to sponsor the construction of a new gallery to display the collection. Unfortunately, the house was devastated by fire in February 1978. Most of the collection was recovered, and underwent a careful process of conservation and accessioning into the Museum collection. Gerald Reitlinger died only three months after the fire. His collection has been permanently housed in the Ashmolean since 1978, and in 1983 the Museum opened the Gerald Reitlinger gallery to display the Islamic art collection. A wide selection of Reitlinger's pieces is now on display in the new galleries opened in November 2009.